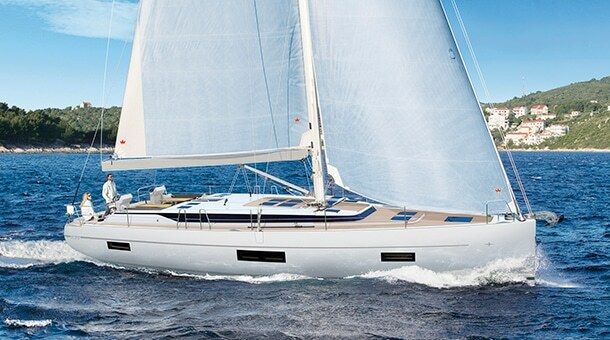 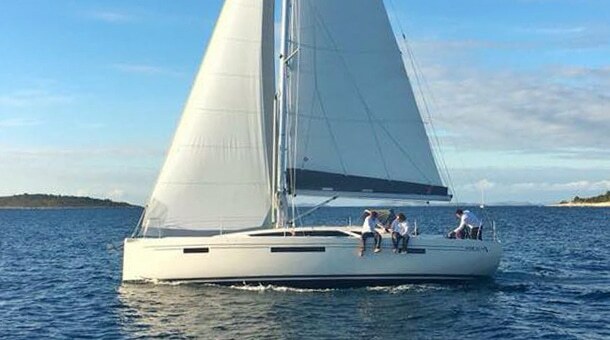 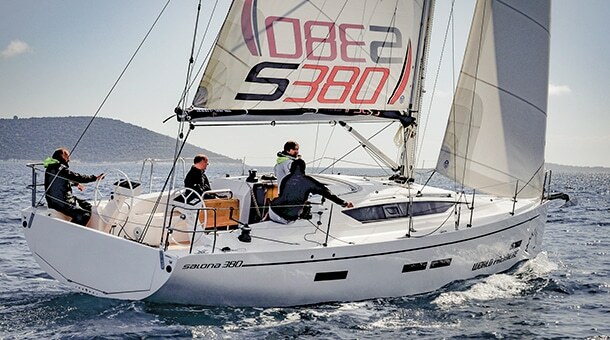 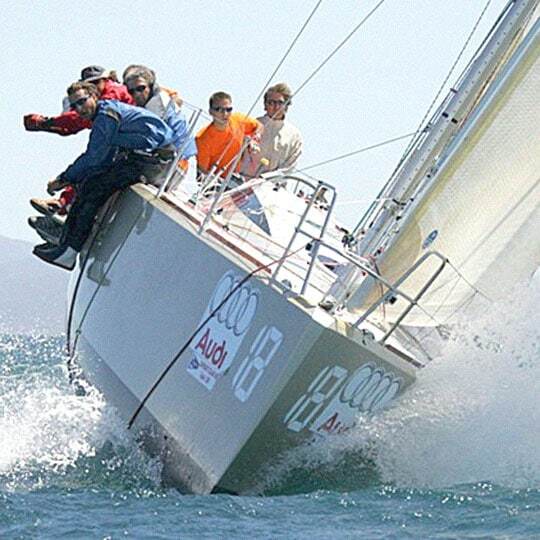 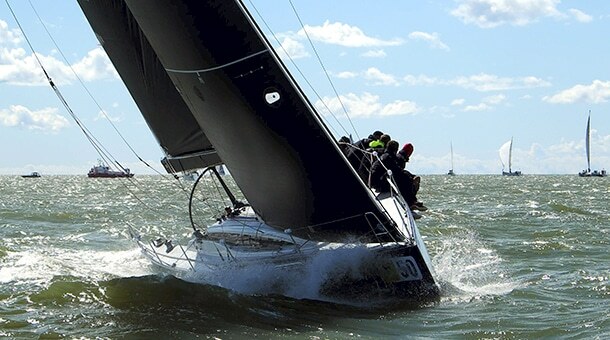 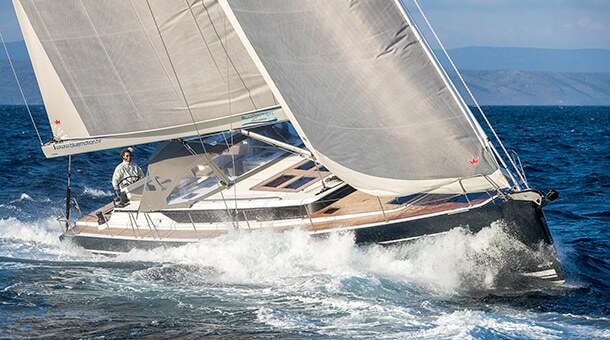 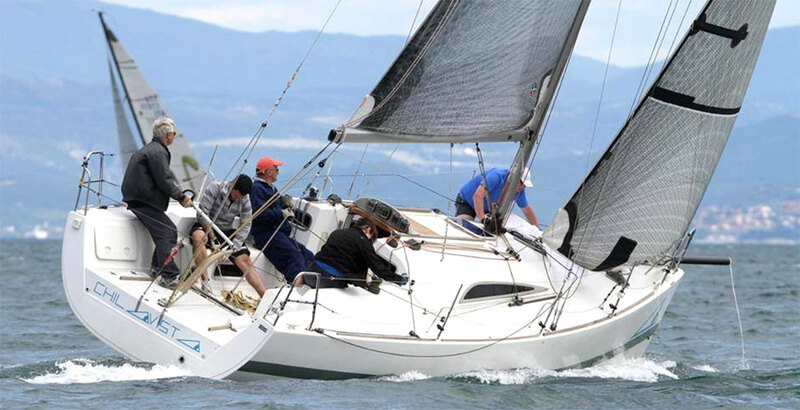 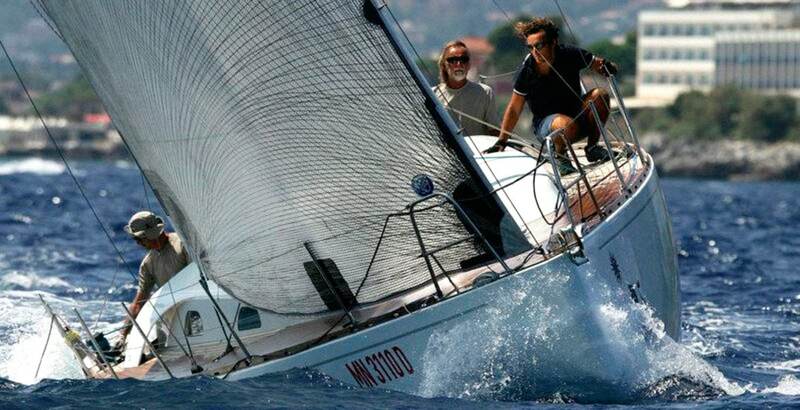 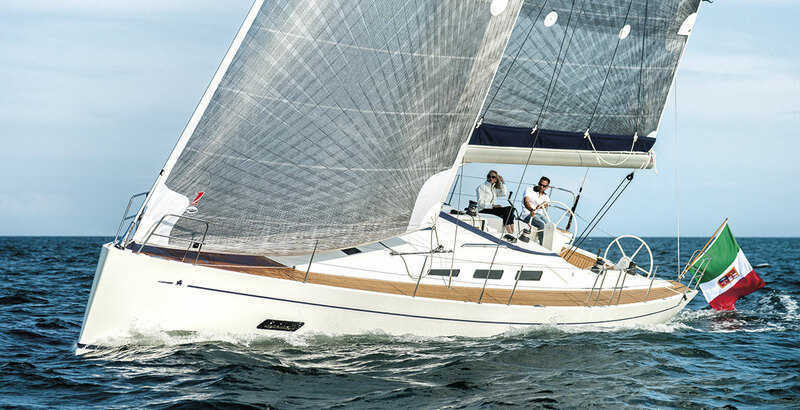 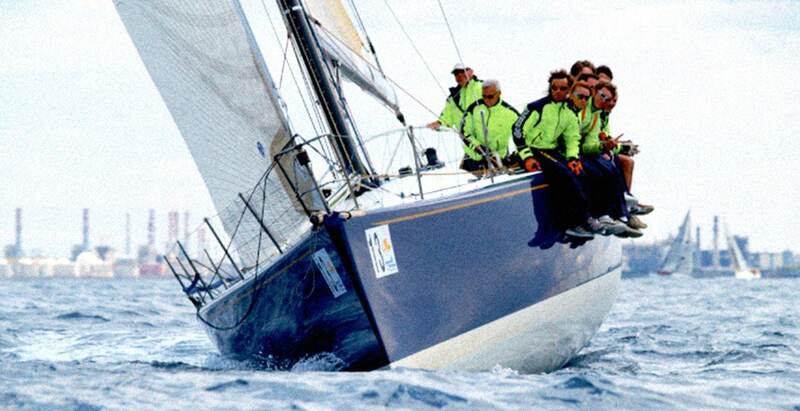 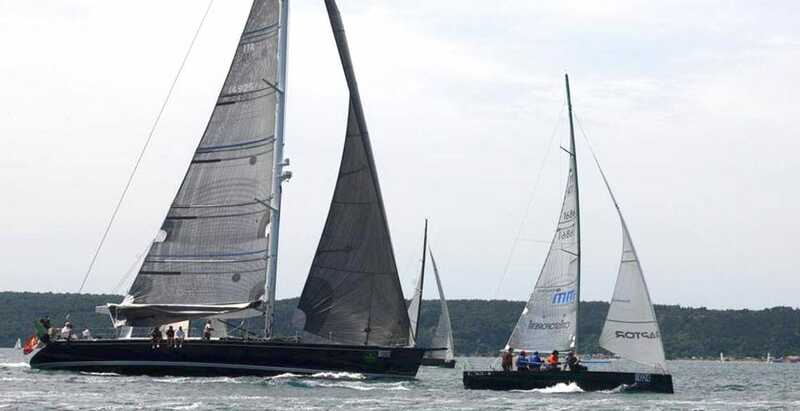 The story began in the first years of second millennium: we had a lot of success in modifying and optimizing a lot of series and one-off boats for IMS, from standard production racers like Beneteau 36.7 to more racing designs like the Vrolijk 37, much more tailored and built around the rule. 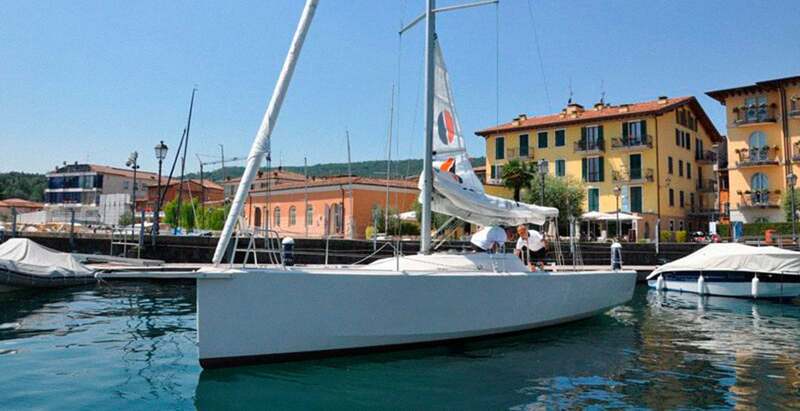 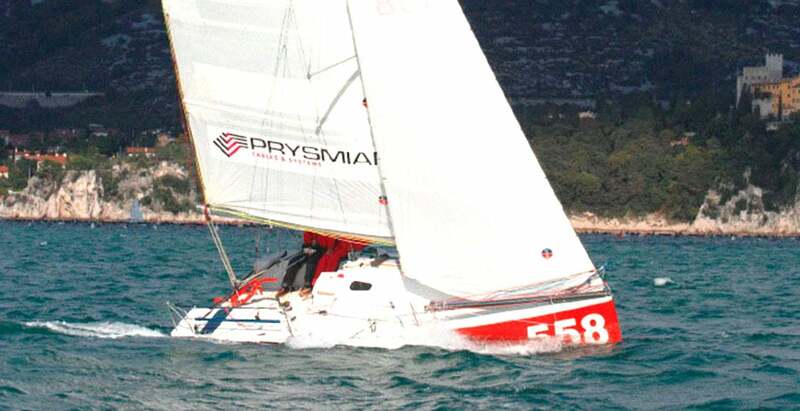 In 2005 Cossutti was also partner of a small boatyard, 2M Marine; as first boat we decided to study a new B class, racer-cruiser boat for 2006 season, the M37. 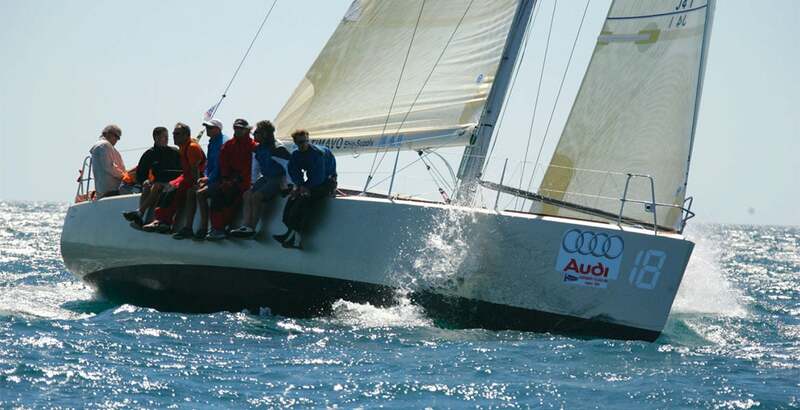 The idea was simple: the boat should have been light and fast as the fastest in class, but with a rating comparable to the lower ones in the division: indeed an ambitious goal. 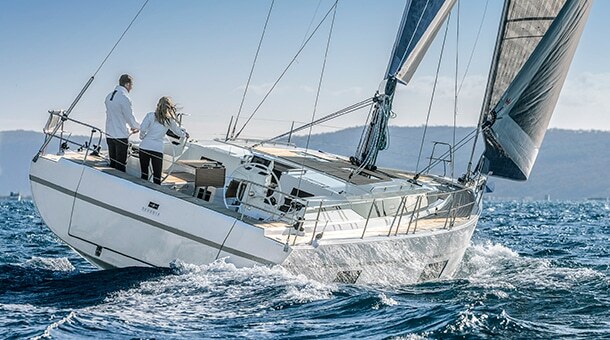 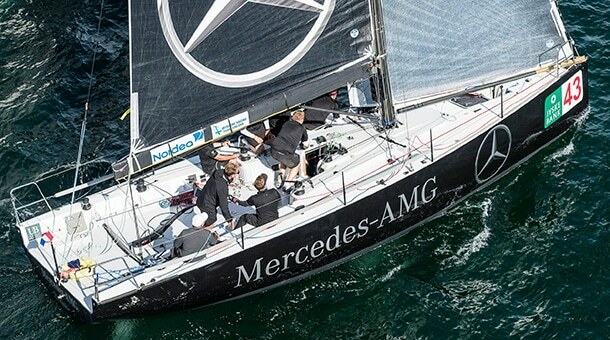 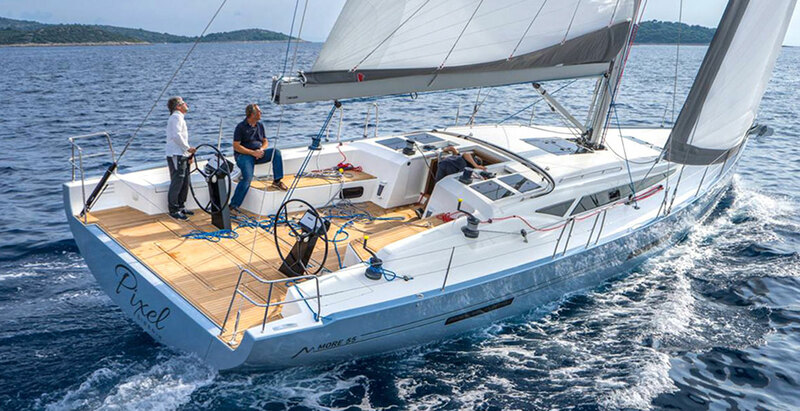 The new boat should also have had internal volumes suitable for a cruising use, but with construction, rig, and appendages designed primarily for performances, and of course an aggressive, but stylish design. 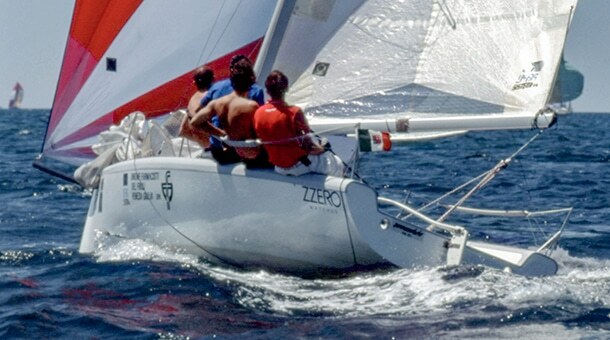 We started with a parametric study of weight/length/sail area parameters, keeping in mind the idea to have the lighter boat as possible: in fact, our background comes from an area where light, over canvassed and fast and fun open class boats were the norm for racing but in this case she had to be compatible with IMS requirements. 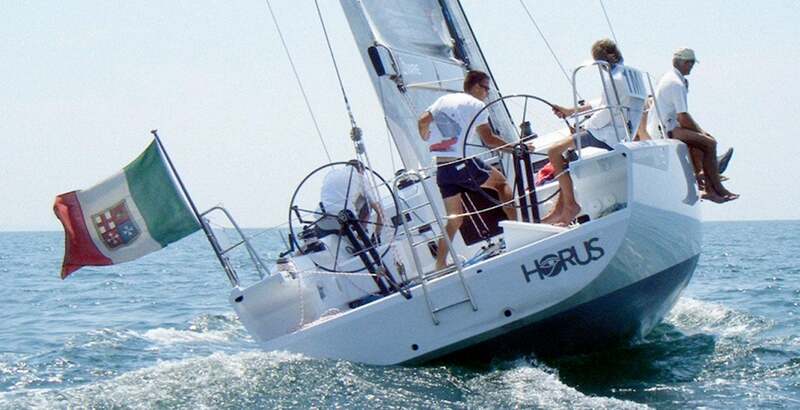 Working with the best commercial available VPP of that time and with ORC program, we tested 4 families of parent hulls, crossing performance and rating data in order to determine the best“ corrected time” winner especially in windward/leeward courses, accepting a penalty in GPH scoring offshore race, being convinced that a lighter boat would overcome this handicap. 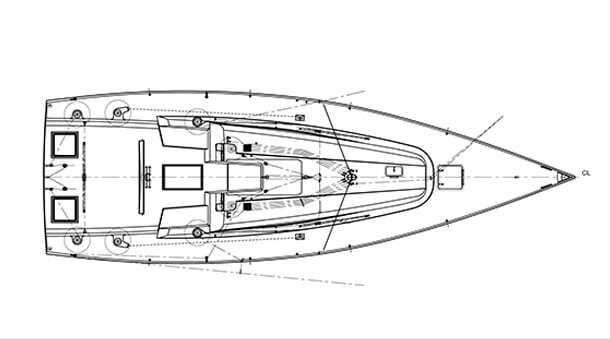 This process also drafted our idea of hull form with a pronounced “knuckle” bow and raised stern to minimize IMS length having distinctive voluminous bow sections to have a high prismatic coefficient with heeled boat, and more control in heeled power reaching conditions. 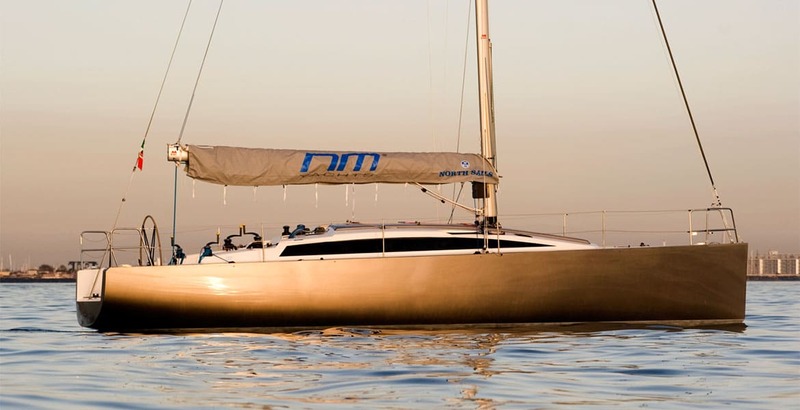 The M37 was probably also the first high stability design, when the rule still was promoting low RM’s, and the results in terms of boatspeed were evident. 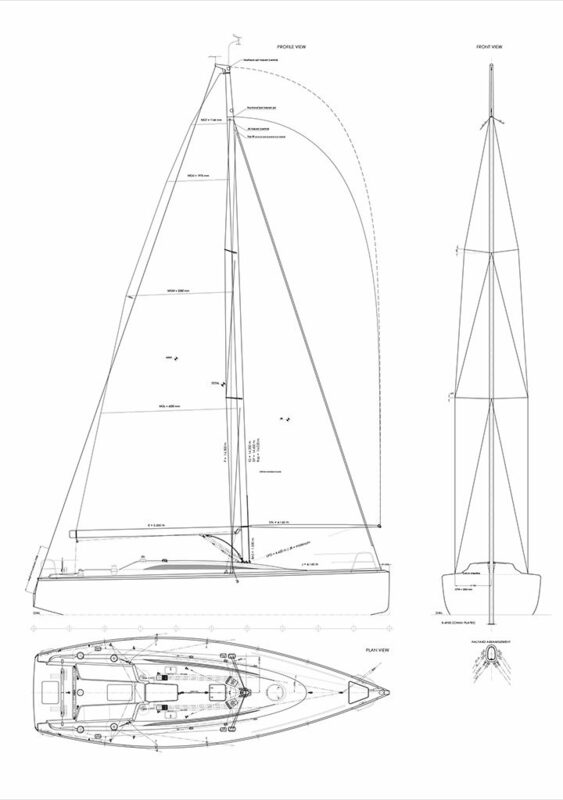 One of the most interesting feature was the midship section with vertical sides near the sheerline, that slope with a first “soft chine” towards the waterline, to reduce beam waterline, and a “flatten” hull bottom to maximize measurement advantages: the resulting shape resembled in some way the old IOR sections, and proved very effective both in terms of rating and performances. 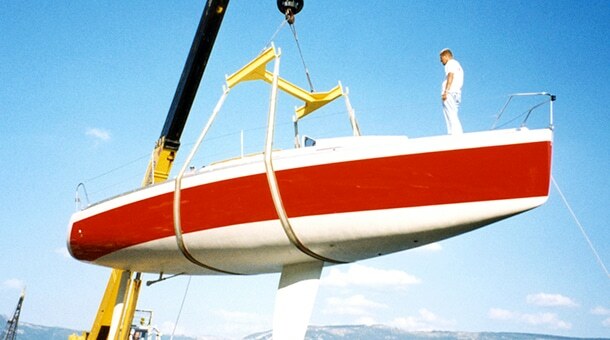 the construction was made in epoxy and glass sandwich over foam core, vacuum bagged and post cured, together with internal reinforcement in glass and carbon with a steel structure for keel, mast step and shrouds made a construction far more sophisticated than series built competitors, stiffer and with better weight distribution. 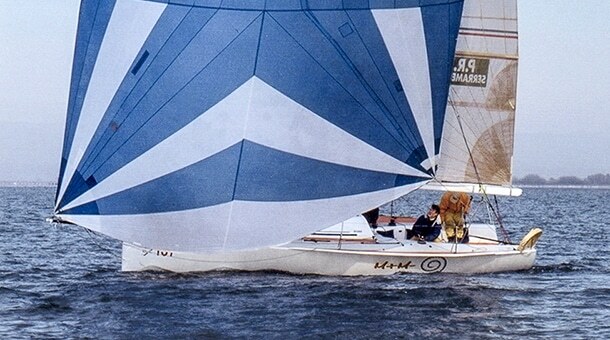 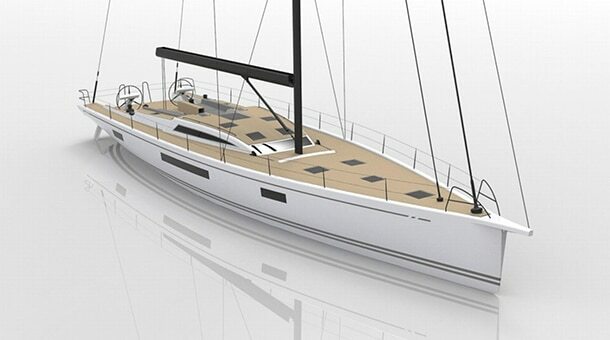 The keel also was a very different beast, shallow draft at 1.95m, trapezoidal, with a lot of area and volume (4 big empty holes inside) and refined laminar sections. 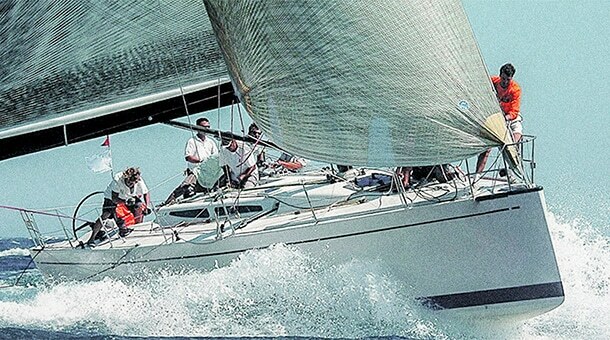 The trailing edge had a big triangular “skeg” which we used to put in our keels in order to have a bonus for added volume and wetted area, but since it was in the wake of hull and keel itself, therefore in disturbed flow, the effective added resistance was less than the calculated from IMS algorithm; of course in recent years this loophole was amended and the bonus cancelled. 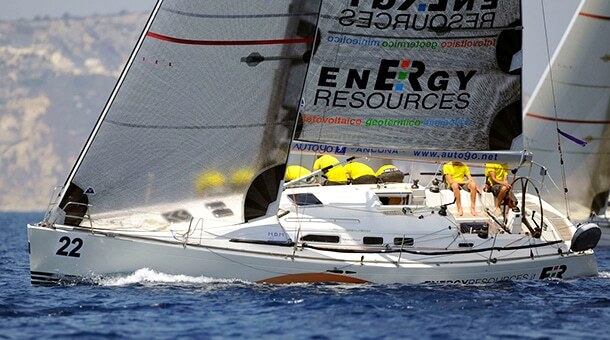 Story tells that we arrived in Cagliari for 2006 Italian Championship with only three hours of practice and we scored 5 win in the first five races in fantastic Sardinian 25-35 knots conditions, clearly the fastest boat of the fleet, and also with a very good rating; we ended the week with seven 1st places, one 2nd and one 3rd, a wonderful result, and to be honest, a big surprise for us too. 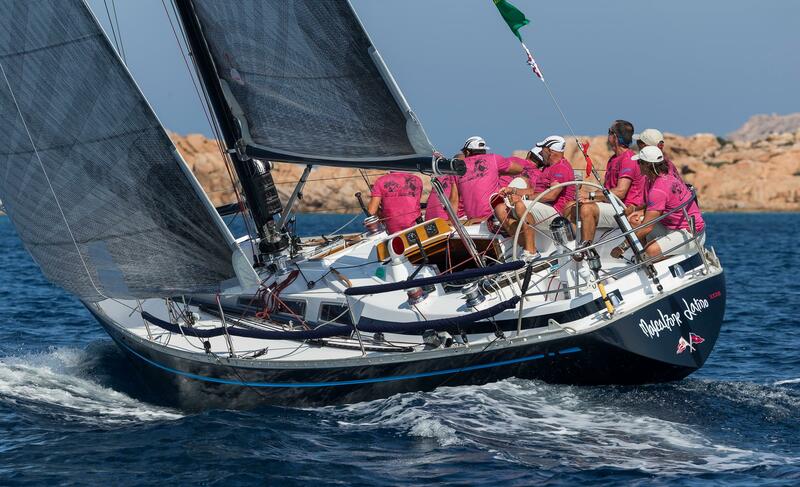 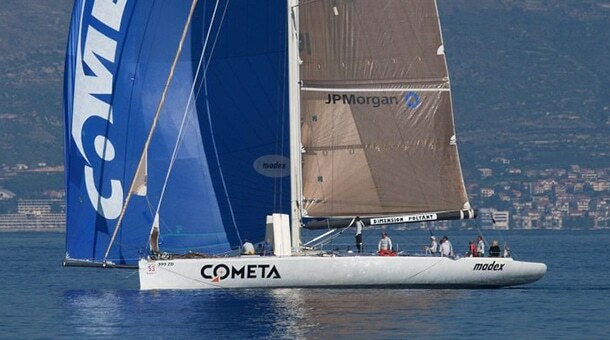 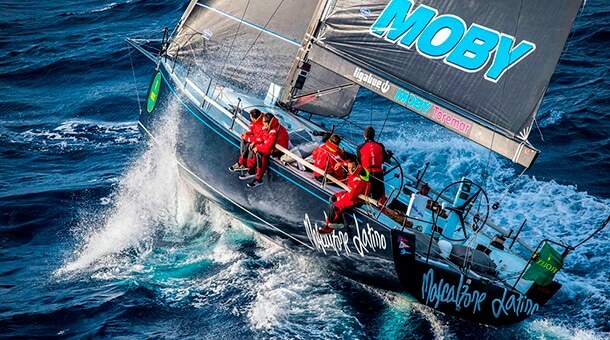 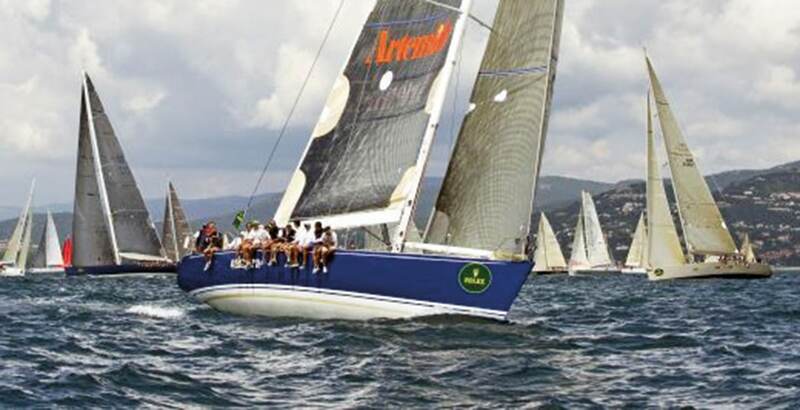 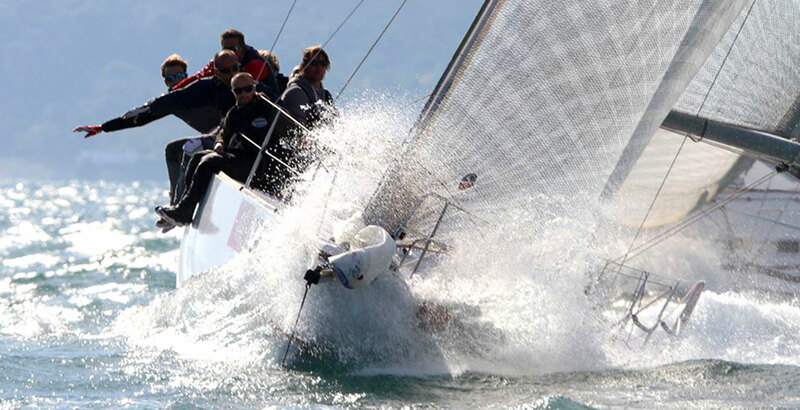 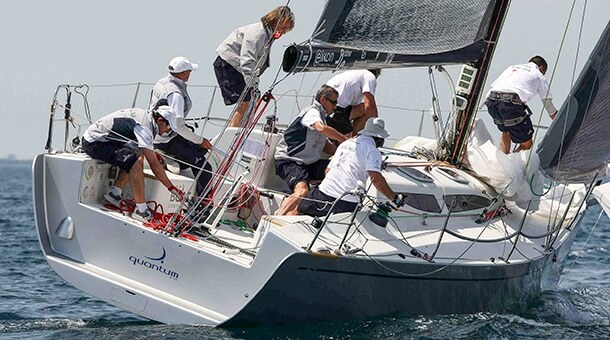 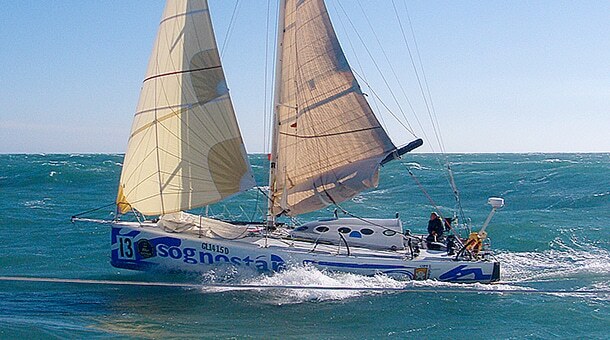 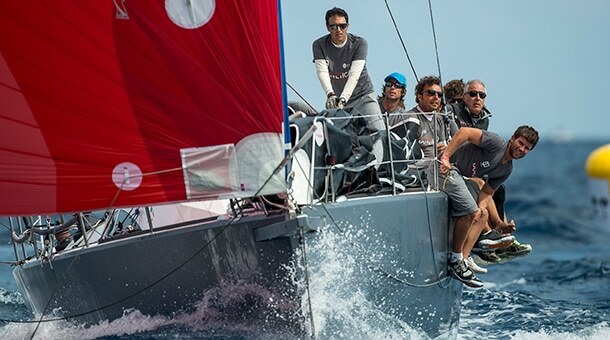 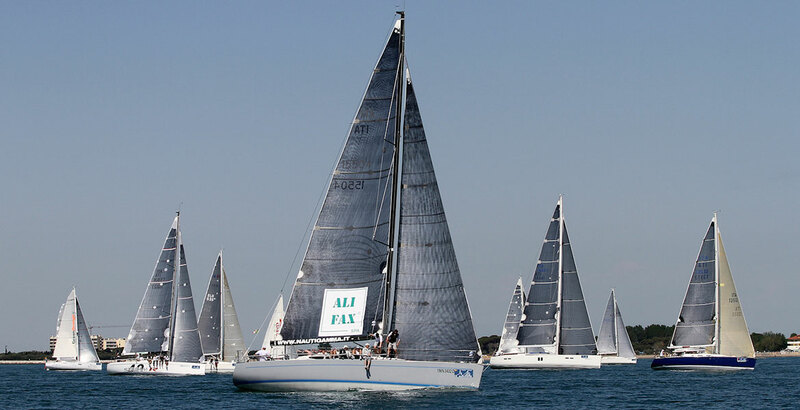 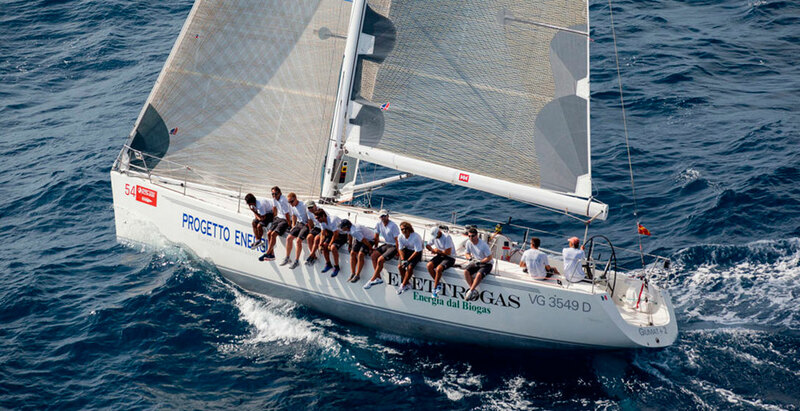 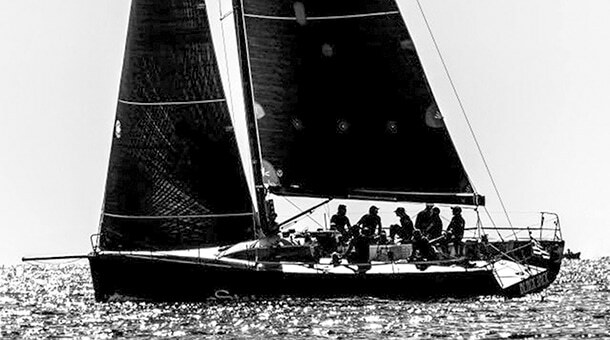 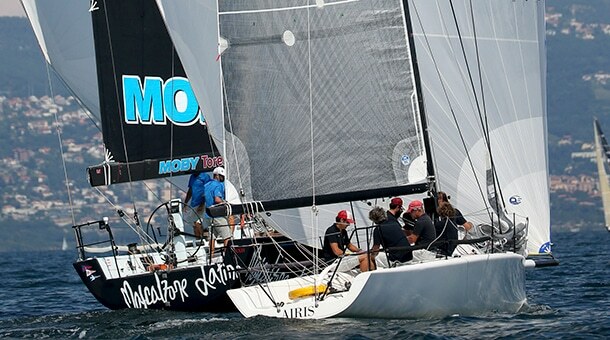 Ottavo Peccato, this was name of the boat, continued his winning career with several Italian titles; in 2017 she was re-configured for offshore events with a new deeper lighter keel and a carbon bowsprit to use the asymmetrical gennakers: 11 years after the launch she was capable to win the Palermo – Montecarlo overall, and the Italian offshore Championship as well. 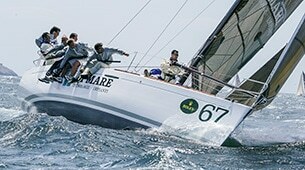 2M Marine after a couple of cruising M37, decided to put in production an evolution of the boat, further more oriented to racing, so called “Corsa”; three of them were built, the most famous is Low Noise. 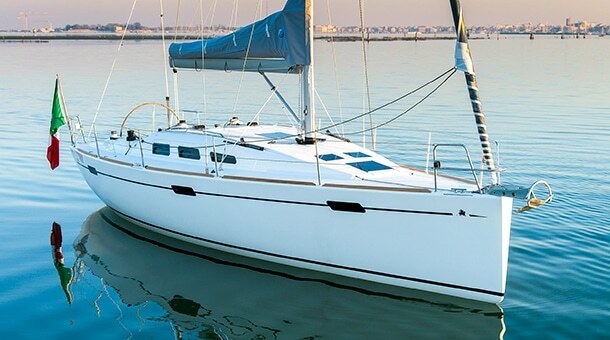 The modifications included a simplified interior, and a further more refined construction with composite bulkheads and furniture, and therefore a better weight distribution and the possibility to have different weight-trim combinations playing with internal ballast. 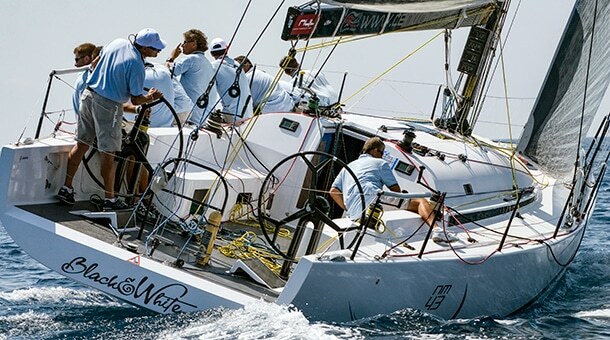 Low Noise won her first IMS World Title in Brindisi in 2009, confirming the validity of the design, and after some updating in appendages the ORC world titles in 2011 and 2014 and Europeans in 2012 and 2014 The M37 career is not finished yet: the yard has now been moved in Manfredonia, south of Bari, were in the summer of 2017 a new M37 has been launched for a Czech sailing team; Hebe V the name of the boat painted in a striking orange: just after launch she arrived 3rd overall in 2017 extremely tough Middle Sea Race.